1.Product Features 1. Soft and comfortable fabric 2. Anti-pilling, anti-static, anti-wrinkle, breathable 3. High quality with reasonable prices 4. Professional manufacturer of women pants 5. We have our own factory, designer and introduce new design Name Leather Pants Color black,brown,red etc. 3.Buyer Reading 1/ We will try our best to describe the detailed information as clear and correct as possible ,little difference should be accepted 2/ The price showed in our website is only a approx price ranges , the actual price are subject to our final confirmation Your samples and design are welcome! It will be our big pleasure if we have opportunities . Our main products are lamb apparel, goat apparel, cow apparel and pig apparel. The main customers have Zara, Guess, Vero Moda, H&M, etc. . The quality of products is recognized by the industry. This fabric is a elegant, first class quality satin rosette lace fabric, graceful color * Rosette lace fabric: available in many colors, you pick up the color * Soft and Romantic. Packing & Delivery Custom packaging We aim to create a meeting point where web professionals Package Every piece into plastic bag then 15 Pieces into 1 Box or on Customers demand. Loading and delivery Our Courier and Cargo Partner Deliver Our products with caring and in committed time. Jinhua City Youshun Network Technology Co., Ltd.
&middot;Customer- Oriented Our technical department can make patterns according to your offered sample or measurement. &middot;Short Delivery We have over ten production lines with experienced technical workers, and our production department will arrange the with 20days. &middot;Quality Control The quality control department can check every suits, jackets or blazers with related standards. Pingyang Hong Sen Clothing Co., Ltd.
men leather sweatpant traditional jogger with tapered leg from thigh and moto knee rib detail. features signature top stitching on front and back leg panels. made of high quality cow suede leather. a vailable in german & u.s.a sizes. fluffy leather is a manufacturing company who produce many different types of garments especially leather garments! our factory consists of a dynamic faculty and state-of-the-art technology. 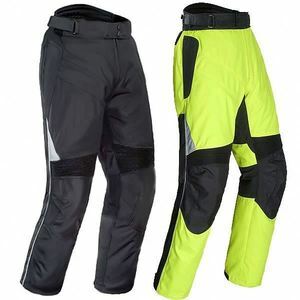 professional good serve mens leather sport trousers half pants for men Item Name professional good serve mens leather sport toursers half pants for men Company Shaoxing Fenglang imp & exp Co., Ltd. Techincs Woven MOQ 500pcs Port Shanghai/Ningbo Service 24 hours online Packing 1pc/polybag or according to your request Delivery period 45days Top material,exquisite workmanship and quality control system your retail,small order and mix order are acceptable. There are many others for your choice in our you have any question or requirement,please contact us and we will try our best to serve you. Product details: Material. Prices are negotiable. Delivery Time: 10 days once sample request is placed. Made of real Lambskin Leather. Elastic able waist with drawstring. Flexible cuff with zip. We have t he expertise to ensure your satisfaction with the quality products. We offer com- petitive pricing while being able to provide good quality. 2 What's the minimum order quantity9 MOQ=100pcs each item. - Supply ability: 1000 Piece/Pieces in a Month. - Sample: available on demand. - Delivery Time: 10 days once order is placed. military tactical man outdoor combat trousers material polyester / nylon size xs -- xxxl color black / grey / khaki/ camouflage, etc. qc will issue the inspection report and release for shipping if each product is qualified. 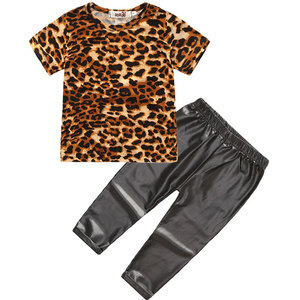 Description X84138A wholesales price men clothing man printing casual pu leather pants and trousers Model No. 1. OEM / ODM Service Moq: 300pcs each design Sample cost is additional 2. Wholesake items-in stocks Moq: 5/10pcs each design Sample price is double higher than wholesale price. 3. Labels / Hang Tags Service(make your brand logo labels/hang tags) Moq: 1000pcs each order ; Cost: 100-200usd each order We will do freely at your later orders. 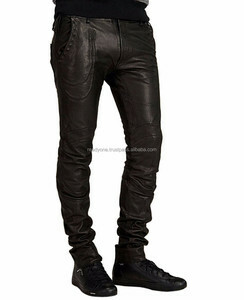 Alibaba.com offers 5,383 men leather trouser products. About 51% of these are men's trousers & pants, 1% are other uniforms. A wide variety of men leather trouser options are available to you, such as free samples, paid samples. 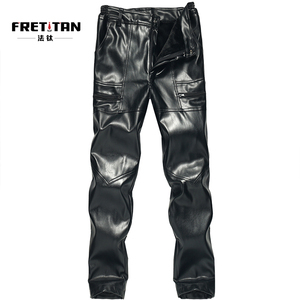 There are 5,290 men leather trouser suppliers, mainly located in Asia. The top supplying countries are Pakistan, China (Mainland), and Lithuania, which supply 74%, 24%, and 1% of men leather trouser respectively. Men leather trouser products are most popular in North America, Western Europe, and Northern Europe. You can ensure product safety by selecting from certified suppliers, including 92 with Other, 79 with ISO9001, and 12 with ISO14001 certification.